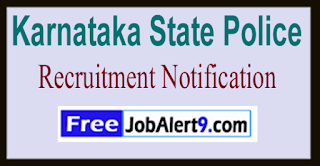 KSP (Karnataka State Police) Has Released Recruitment Notification For 2626 Civil Police Constable Posts. 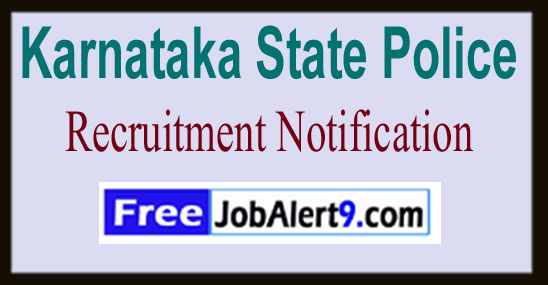 All Eligible & Interested Candidates Can Apply Online.Further Detailed Information Regarding Educational Qualifications, Age Limit, Selection Procedure, Exam Pattern, Syllabus for KSP (Karnataka State Police) Recruitment 2017 - 2626 Civil Police Constable Post is mentioned below. Candidates age should be between 19 to 25 -Years As on (12-06-2017). All Eligible Candidates will Be Selected Based on Their Performance In Written Exam, Interview, Physical Standard Test . Rs. 11,600 - 21,000/- . All Eligible & Interested candidate fill the online application through official web-site (http://rec16.ksponline.co.in) before / (12th June 2017). Online Registration Starts From - 27-05-2017.